Today, it has a creditable client portfolio comprising the Sime Darby Group, I&P Group, Dijaya Group, Lion Group and Bolton Group. To-date, it has successfully completed more than 840 units of residential houses in the medium to up market category for its clients. 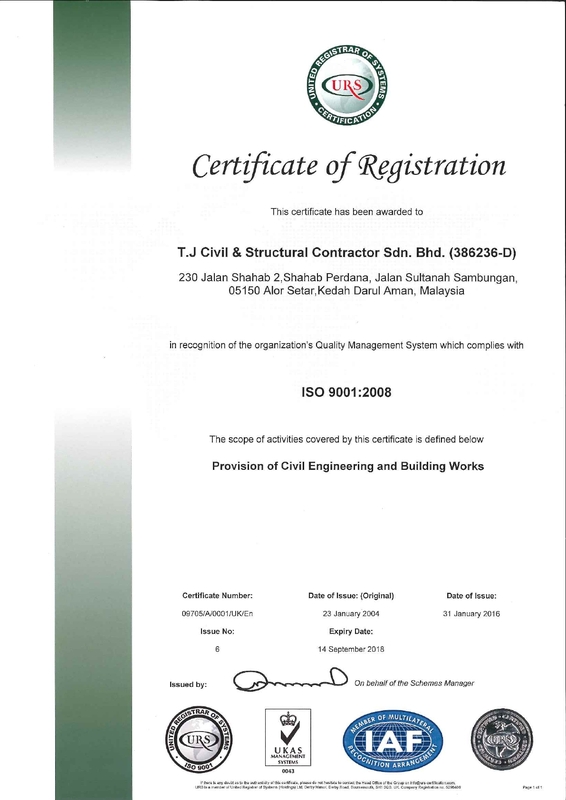 TJCSC holds a CIDB Grade 7 certificate, PKK Class A license as well as an ISO 9001:2008 certification in Civil Engineering and Building Works; ISO 18001:2007 in Occupational Health and Safety Management System and ISO 14001:2004 in Environment Management Systems. TJCSC's core activities are in civil engineering, building works, steel structure construction and infrastructure works. It is intent on maintaining excellence and steady growth through continual enhancement of its staff via training and skill development. 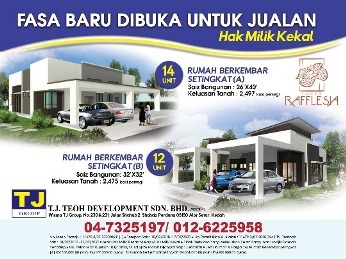 TJ Group began diversification to the property development sector in 2008 when it bought a 10-acre piece of land in Sungai Long, Mukim Cheras, Selangor to develop exclusive semi-detached houses. This purchase was followed through with another purchase of a 2.372 acre of land in Bandar Anak Bukit, Mentalon,Alor Setar,Kedah and joint ventures with landowners in Mukim Yan and Baling, Kedah for the development of various categories of houses and shophouses. Today, TJ Group is poised for further growth and expansion. It is continually sourcing for viable land parcels for boutique housing developments and is open to joint ventures with landowners who are looking to optimise their land values. TJ Group is keen to pursue projects that are distinctive, sustainable, well planned and integrated. We will be a responsible, competent and reliable contractor. We aim to provide total customer satisfaction through high quality workmanship and services by consistently applying quality management and best business practices. We will strive to live up to our integrity and responsibility for quality and safety of projects delivered. In pursuit of this, we will systematically and strategically develop our human resource to provide them with relevant new skills and technology. We will inculcate among our staff a progressive, honest, trustworthy and positive work attitude and provide them with a pleasant and enjoyable, safe working environment. Ultimately, we will protect the interest of our shareholders by striving to provide an attractive returns on their investments.